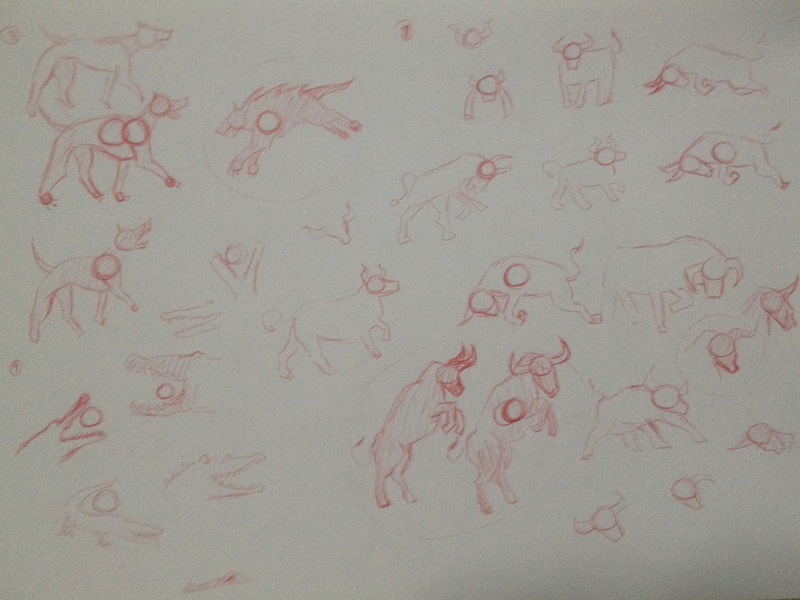 More beast sketches. The hound from last week wasn’t really working out. I drew one wolf instead and it turned out great so I’ll be using this instead. Top right is the bull. Bottom left is the crocodile which I’m also not happy with yet. I did a little self testing playing out a game. It was pretty one sided. From that, I’m thinking about having more cards with a comeback factor or maybe comboing with each other to make it more interesting.